The Charles Mingus Biography introduces us to a unique, creative dude who had a temper the size of Texas! 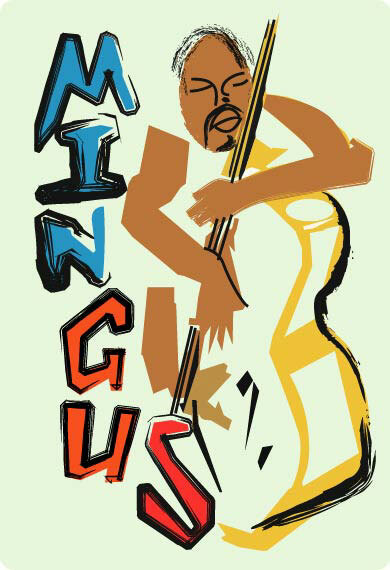 Charles Mingus was born in Nogales, Arizona in 1922. His family heritage was multi-cultural, and his early influences can be traced to the church (group and choir singing) and also from hearing then legendary Duke Ellington on the radio.The church is where alot of jazz cats got the feeling of music and it translates to alot of jazz music foundation... dig? His early attempts at learning to play musical instruments were not indicative of his later success as a jazz bass player, who many believe to be the greatest. His father purchased him a trombone, which he failed to master. Its a hoot when you try to picture Mingus with a trombone... the dude looks like he was born to hold a bass! He did, however, have a little more success with the cello, attaining a sufficient capability to be included in the church band. It was a school friend, Buddy Collette, who persuaded Charles Mingus to try out the double bass, the instrument he would ultimately master. It is not surprising that Charles Mingus became such a good jazz bass player because he had such excellent schooling. He attended formal study with the H. Rheinshagen and the legendary Lloyd Reese. Although Mingus was obviously aware of the extremely valuable nature of these lessons, he attributed his success at mastering the instrument to endless hours of practice and sheer hard work. As I say quite often: you got to learn the rules to break the rules! These cats were natural artists, but they knew how to "play" by the rules too! It was in the 1940’s that Charles Mingus encountered some of the big names in jazz, and also when he undertook his first professional performance, in a band led by Barney Bigard. Mingus had a short temper and some people believe it was this that caused his sacking in 1943 by Louis Armstrong. The big guy was tempermental and that could be why he was such a great musician... Mingus did not suffer fools lightly! The cats' temper would certainly cause several sackings by Mingus when he came to lead bands. He first recorded as a leader in 1945, and was to become one of very few to do so as a jazz bass player. Several bands, both large and small, were graced by Charles Mingus’ presence throughout the 1950’s, and he even played with one of his earliest influences, Duke Ellington. It was in this decade that he was to establish himself as a composer, drawing from influences such as Gospel music and Ellington ensemble sound. Duke was so cool that if you played with him you learned just soaking up his "vibes". Mingus began to hold “Jazz workshops” which enabled young composers to have their new works performed in concert and on recordings. He became a leader of bands because he believed the double bass to be as worthy as any other instrument, and therefore at the forefront of the music. 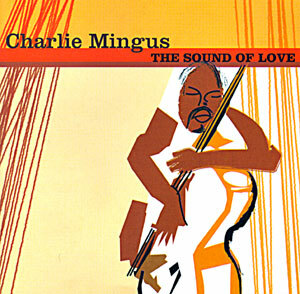 It was through this belief that Charles Mingus developed “conversational” approach to music, where the supporting instruments would respond to the music of his double bass, as if in conversation. When you listen to Mingus the dude seems to be talking to you and the musicians in the band! This approach often meant a lot of improvisation, which Mingus was a fan of. It led to some of his best work as a jazz bass player, and it is testament to his character that, although frowned upon by other members of the jazz fraternity, he persevered with that style. The big guy just followed his muse and let it "fly". From the mid sixties onwards Charles Mingus suffered from a deterioration in both physical and mental health, and it was at this time that he had a complete break from music. However, he made a comeback in the early seventies coinciding with the release of his autobiography – Beneath The Underdog. This was a book that showed how "crazy" this genius really was! He toured all over the World, as a double bass player, up until 1977 when he was diagnosed with Lou Gehrig’s disease, which affected the nervous system. Bravely he continued working, even when confined to a wheelchair, and died in 1979 unable to help in the completion of a project with Joni Mitchell. Mingus’ masterpiece, “Epitaph”, so called because he never believed it would be performed until after his death, was performed on the tenth anniversary of it by a thirty-piece band. It was highly critically acclaimed, with the New Yorker saying it “ranked with the most memorable jazz events of the decade. A clue to what a masterful jazz bass player he was lies in the fact that his entire lifeworks of scores and memorabilia are in the possession of the Library of Congress. Mingus wife is a cool lady who carries on his music legacy by making sure he gets all the credit he deserves! Back to Charles Mingus Biography and other Jazz Cats!